Edward Maley was born on March 10th, 1925. The Irish rooted Maley family was living in Easton at that time. Easton is a small town in North Hampton County in the state of Pennsylvania. Father Thomas Sr and mother Grace Sr had given birth to 6th children in total. Edward grew up in a Catholic family together with his two brothers Joseph & Thomas Jr, and his three sisters, Marion, Catherine and Grace jr. As a teenager, Edward attended High School where he spent 3 years..
On July 29th, 1943 he enlisted in the Army in Allentown, Pennsylvania from where he was sent to New Cumberland, Pennsylvania. Edward’s brothers both served in the U.S. Navy during the war. Edward was sent to Fort Benning, Georgia where he was put together with lots of other “strangers” who had also volunteered for the paratroops. 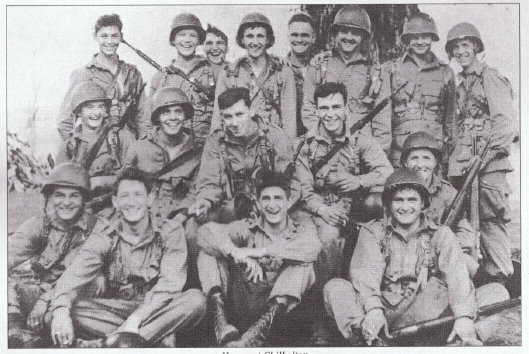 These men together formed a completely new regiment, the 513th Parachute Infantry Regiment, which became part of the 13th Airborne Division at that time. 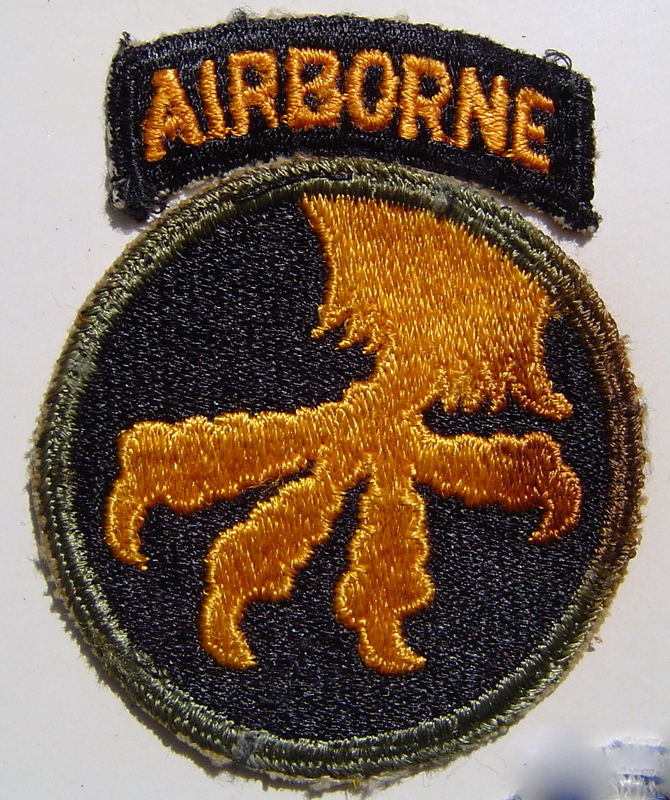 Edward was assigned to E Company 513th PIR, 17th Airborne Division, and was a Private in the 1st platoon from the beginning till the whole duration of his service. He qualified as a Paratrooper and became a rifleman. He had trained at multiple different training camps throughout the U.S. such as Fort Benning, Fort Bragg, Camp MacKall, Camp Forrest and the Tennessee Maneuver area when his unit left the Boston Port of Embarkation on August 20th, 1944. They were aboard the USS Wakefield and finally on their way to Europe. 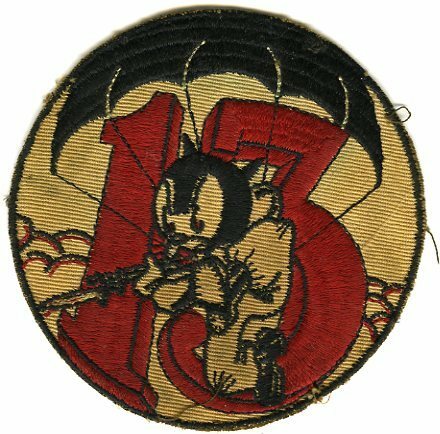 E Co. 513th PIR fought in multiple tiny villages West of Bastogne, during the first days of the Bulge. Ed was wounded during the battle and taken to an aid station. He only stayed here for a very short period, before heading back to his buddies. Several men were killed and wounded during the attack, but the men managed to reach their objective and succeed their mission. It was during this attack that one of Edward’s good friends, Stuart S. Stryker was killed. Stryker was later posthumously awarded the Medal of Honor for his heroic performances. The unit proceeded their way east towards the German city of Münster riding along on top of British Crocodile Tanks belonging to the British Scots Guards. After several days of fighting the men of E Company and their British tank support found themselves in a countryside area just outside of the German town of Dorsten. On that dreadful day, March 28th, 1945 , Edward was killed while the tank collone suddenly received German fire from the nearby woods. Edward Maley had only recently turned 20. Several other men were also killed and some were wounded too. Ed’s remains were brought over to the American War Cemetery in Margraten. It appeared that Ed’s dog tags were not present, so they could not identify him. It was not until 4 years later in April 1949 that the remains of Unknown soldier X-787 were identified as those of Edward P. Maley. 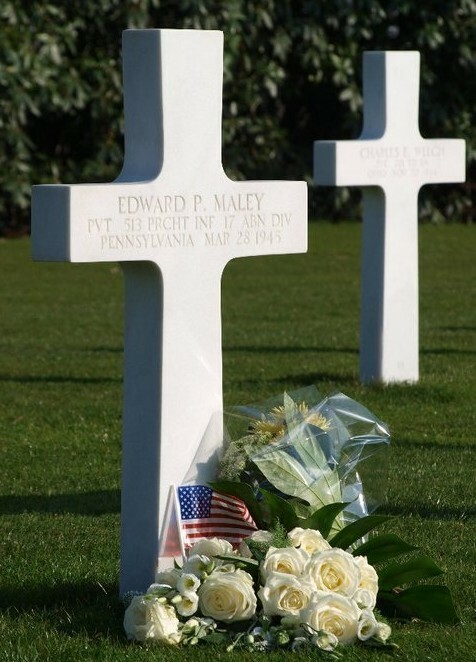 It was not until 4 years later in April 1949 that the remains of Unknown soldier X-787 were identified as those of Edward P. Maley. The dental chart records resulted in a positive identification when the Army’s identification services matched them to Ed Maley’s dental records from Camp Forrest, Tennessee in the States.